Easily join in the fun with Sing-a-longs and Rhythmic Movement games, set to Rock, Boogie Woogie, Blues, Cajun, Disco, and Motown styles. Plus a special guest appearance by Ella Jenkins and a kid friendly version of "Why Can’t We Be Friends" titled, The Friendship Song. 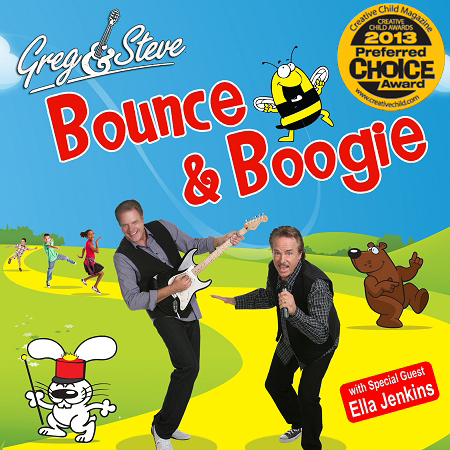 Bounce & Boogie; All Around The Kitchen; Buggie Wuggie, Boogie, Woogie; John The Rabbit (Ella Jenkins) and more.